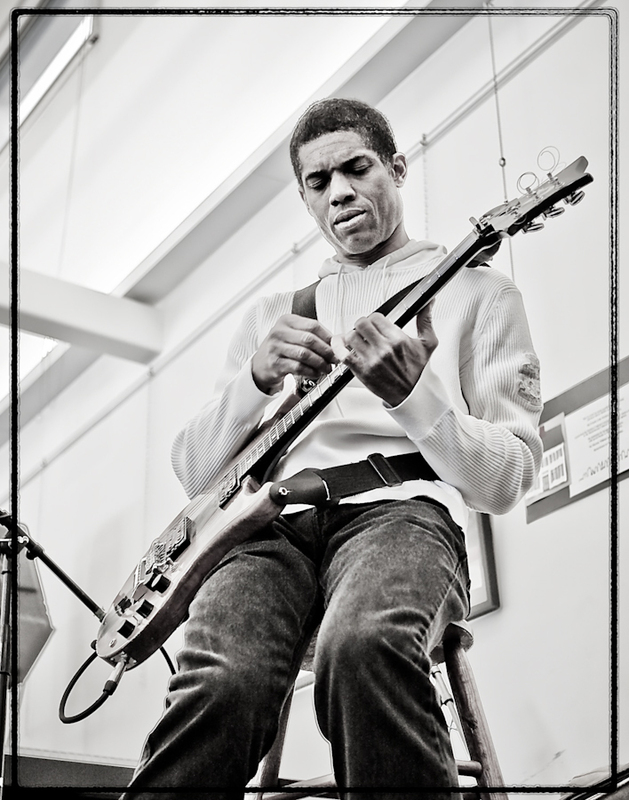 Stanley Jordan, world renowned musician, gave a 2 hour presentation on April 24th at the Newbury Town Library. The Master’s Class was sponsored by our very own local musician, guitar expert and teacher, Eric Clemenzi. What a gift Eric gave to his students when he set up this amazing event for them. My son Phillip and I are Eric Clemenzi fans and I find myself photographing many of Eric’s wonderful events. This one was no exception. 85 of us sat at the edge of our seats listening to Stanley Jordan. Stanley explained his ideas about music, playing music, practicing your music and healing qualities of music. Stanley so eloquently talked about how he goes about getting ready to play his music. He closes his eyes and remembers how lucky he is to have this time to practice his music. He starts slowly and gradually and methodically works each note to get the best quality of sound out of them. Stanley is known all over the world for the mastery of his unique guitar style. He often plays his guitar with no strumming, a different style of playing. Stanley can also be seen playing 2 guitars at the same time. He played his guitar and keyboard at the same time during the master’s class. Stanley Jordan has been producing albums for 25 years. His newest album release is “State of Nature”. You can check out Stanley Jordan at www.stanleyjordan.com. What an amazing event performed by such a classy guy. 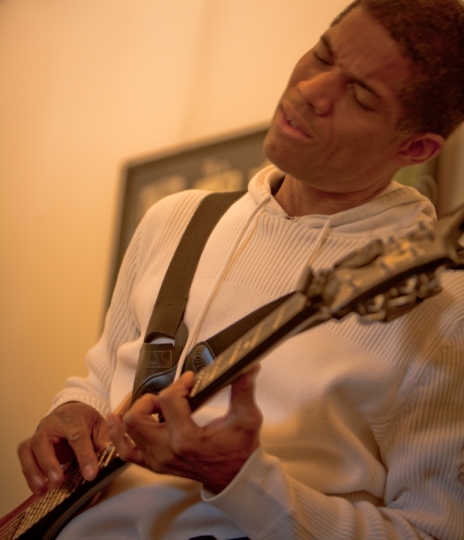 To view more images of the Stanley Jordan Master Class go to www.kathyjoyce.com and click on Stanley Jordan. I am looking forward to Eric Clemenzi’s next Master’s Class. Eric will be presenting The Charlie Hunter Trio on July 10th at the Newbury Town Library at 2 p.m. You can learn more about that class at www.ericclemenzi.com.